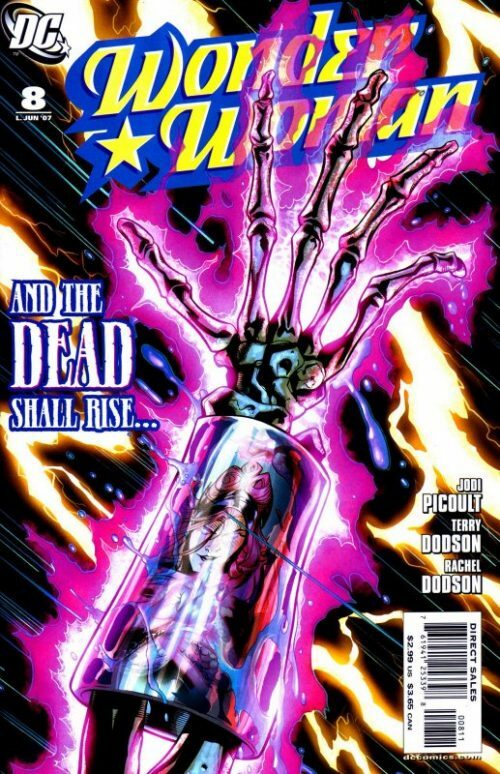 This issue marks the start of novelist Jodi Picoult’s five issue run on the book, which also ties in with the six part “Amazons Attack” crossover. 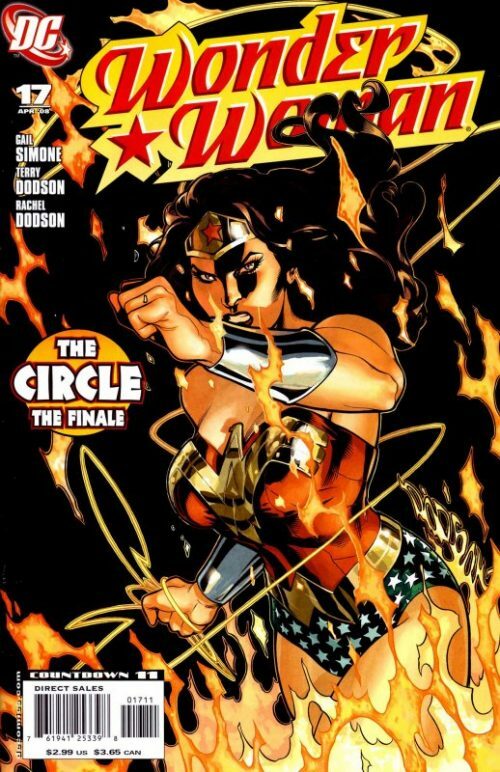 Although she at first appeared an unusual choice by DC, Picoult’s high profile and the fact that she would be one of the first female writers on the regular title generated interest amongst fans and non fans alike – particularly after the huge disappointments of the launch issues. Picoult researched by reading some of Diana’s earlier adventures as well as more recent story lines to give her a flavour of Wonder Woman’s character. She wanted to get inside Diana’s head so that readers could gain an insight into the Amazon’s thought processes – particularly as the Amazon adjusts to her new life living among humans. 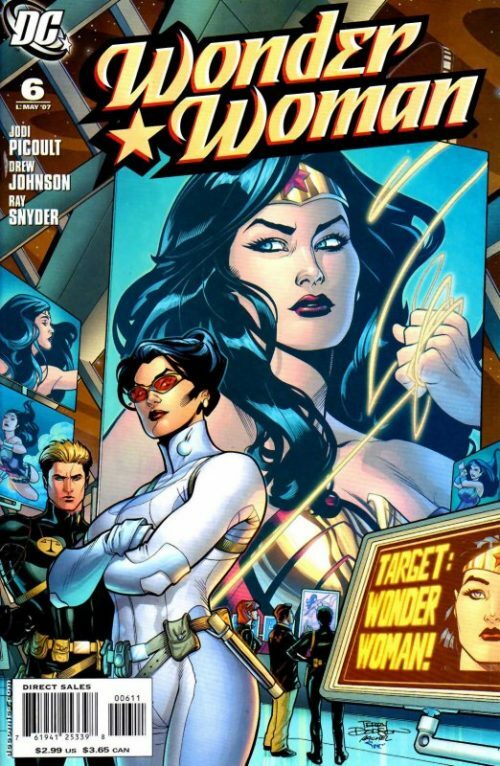 In this first issue Picoult explores some of the mythos around Wonder Woman and even manages to include an indirect reference to how the character consistently under performs sales wise when compared to her peers, Superman and Batman. Is it simply because she is a female? Throughout this issue we get to hear Diana’s thoughts about the people and the world around her. We also see examples of Diana coming to terms with living a normal life and her naivety is highlighted on several occasions – implying that she has lost touch with the real world. In my own opinion this is somewhat overplayed because this Diana is a far cry from the young, innocent Amazon Princess who first arrived in Man’s World during the George Perez run. Indeed, during the Messener-Loebs run for instance Diana had worked in a fast food restaurant called “Taco Whiz” and yet she is depicted by Picoult as not knowing how to fill a car up with gasoline or how to operate the turnstiles at a train station! 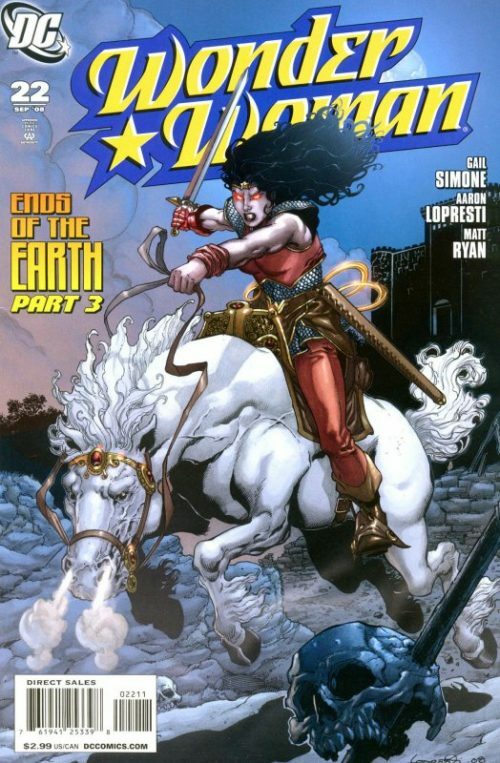 Although DC’s re launch of the title was very much driven by showing that Diana is in fact fallible and not the image of perfection she has always been portrayed as by writers, I think that perhaps they are trying a little too hard to imply that she has been living in an “Ivory Tower” for the last few years; that she has never really understood Patriarch’s World ever since her mission began right through to when it subsequently failed at the end of volume two of the book. Of course, some people have argued that it is this implied “aloofness” that turns readers and that perhaps by showing the human side of Diana, she can be related to better as a character. But Wonder Woman is just that – a Wonder Woman! She is not like us – she is something unique…special…and iconic. The danger is that by diluting her, Diana becomes just another female heroine with a day job. 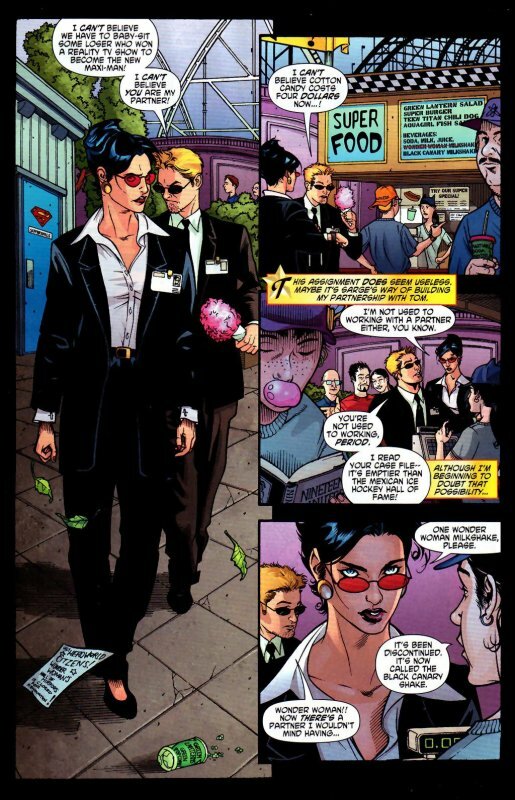 At an amusement park Diana Prince and Nemesis are on an assignment. The Amazon’s partner moans how he cannot believe they have been given the menial task of looking after a reality TV Show winner signing autographs. As they buy themselves some milkshakes and Diana asks for the “Wonder Woman” flavour, she is told by the cashier that it has been discontinued and has been replaced by the “Black Canary” Shake! Suddenly they hear an explosion and see that the roller coaster rail has shattered and one of the trains is fast approaching the gap. Diana orders Nemesis to get everyone else to safety and once alone, she swiftly transforms into Wonder Woman and carries the coaster train down to earth safely. A short while later Diana, now back in her civilian guise, accompanies Nemesis to a shop because he wants to buy his niece a birthday present. He whines that he was not around to see Wonder Woman do her stuff and that he “bet she looked hot!”. 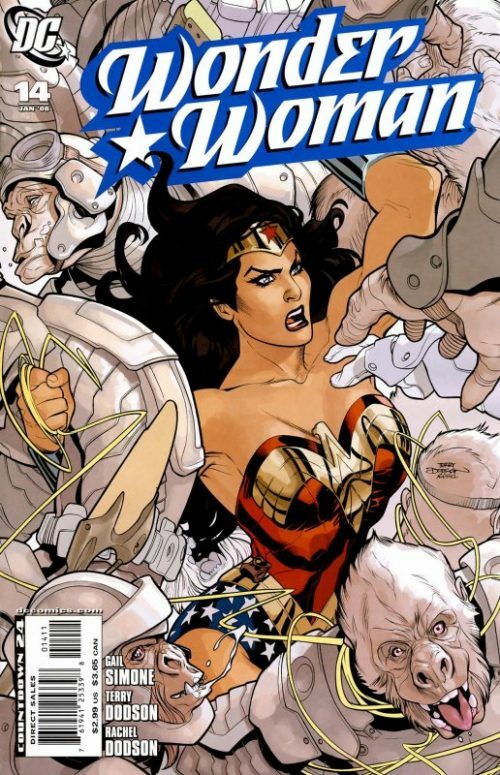 As they begin looking through the kid’s superhero costume section, Nemesis picks up a Wonder Woman outfit. Diana suggests a Batman costume instead and almost slips as she tells him “It has a detachable batarang whereas my…er, Wonder Woman’s lasso doesn’t even come off”. Nemesis does not notice the gaff and says that his niece will be happy with the one he has chosen. As they go to pay the cashier advises that all Wonder Woman merchandise is 75% off. 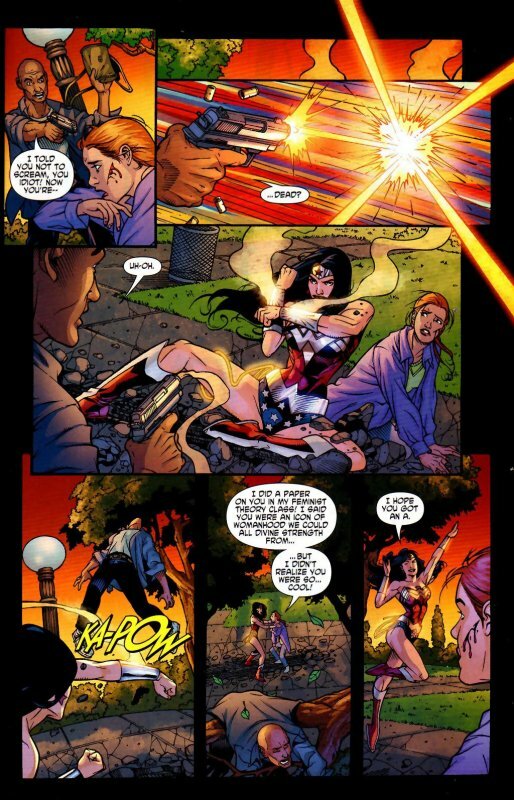 A surprised Diana asks why and is told that Wonder Woman is not “cool”. Bemused, she then questions why saving the world all the time does not make the Amazon cool? The cashier simply replies that all he knows is that she has never sold as well as Superman or Batman! 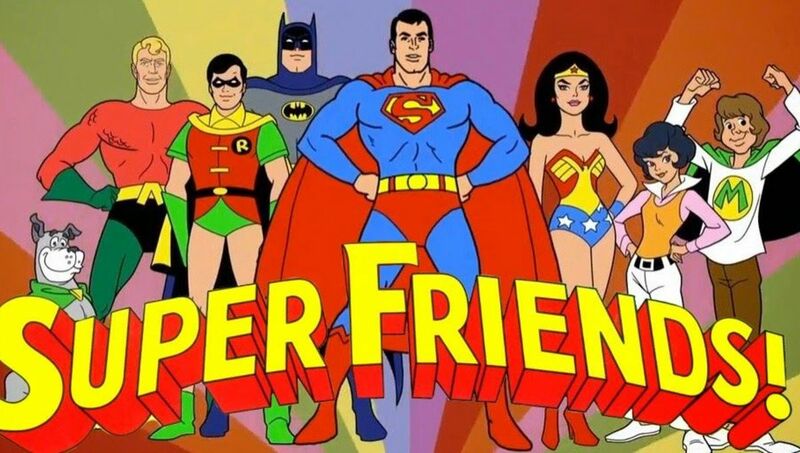 Later they return to the Department of Meta Human Affairs HQ and an annoyed Sarge Steel asks how they managed to miss Wonder Woman at the amusement park? He tells them that the Amazon is now a fugitive and Diana asks why, now that the Amazon Princes has been officially cleared of all charges by the World Court? Steel replies that the government want her to answer some questions about the murder of their agent Max Lord. He then tells them that their new orders are to find Wonder Woman and bring her in for questioning. 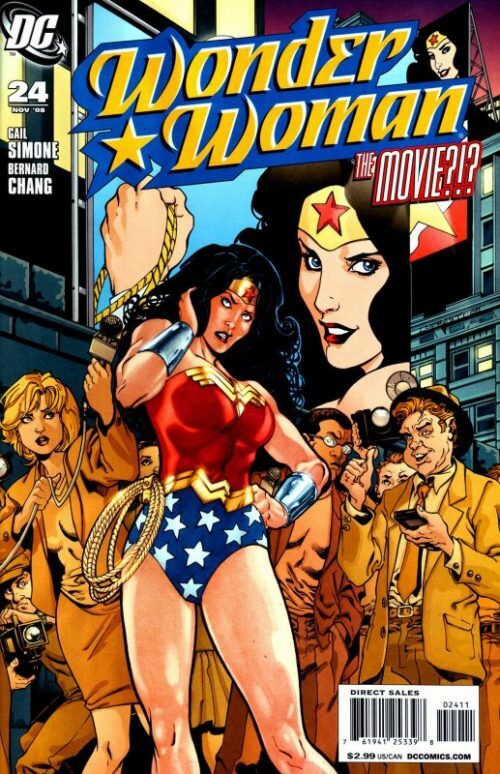 As they leave the office and walk up the street to a local coffee shop, Diana ponders how she can possibly bring in Wonder Woman without revealing her secret identity? She asks Nemesis why he thinks the government want Wonder Woman so badly and he suggests that although Lord was a corrupt agent, the government still look after their own. Having purchased their coffees they walk over to the park and sit on a bench. She asks him why everyone does not simply leave the Amazon alone as nobody really cares what she has done? He replies that people are strange. Everything they do is a choice they make. Most people choose mediocre lives which seem even more mediocre compared to a great hero like Wonder Woman. People will worship her then jump at the first chance to burn her effigy. He then bids her goodnight and leaves her to mull over his words. Suddenly she hears a woman scream and changing into Wonder Woman, she swiftly deals with a nearby mugger. The grateful woman thanks her, telling the bemused Princess that she had done a paper on the Amazon in her feminist theory class. She had written how Wonder Woman was “an icon of womanhood that all women could divine strength from”. Diana smiles and replies “I hope you got an ‘A'”, before waving goodbye and zooming into the air. The next day Diana commutes to work, struggling with the ticket turnstiles at the subway. When she arrives at the office though she is informed by Sarge Steel that Nemesis has been abducted. She asks if they know who is responsible and he holds up a plastic bag containing two silver bracelets found at the scene. “Wonder Woman?” she asks incredulously. 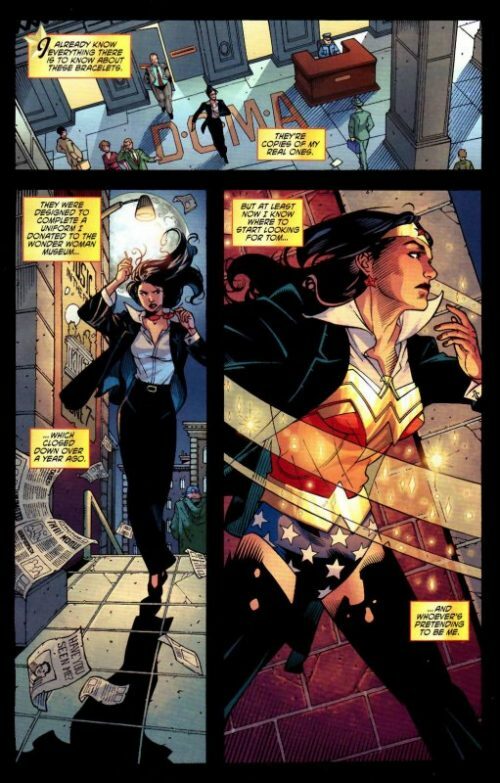 He tells her to take them to the lab for further analysis but after leaving his office she instead rushes outside and in a nearby alleyway transforms into Wonder Woman. She knows that the bracelets are in fact copies designed to complete a uniform she had once donated to the Wonder Woman museum which closed over a year ago. She quickly sets off there while at that same moment at the museum, Nemesis in turn finds himself in chains while his captor, the Witch Circe, whispers “Let the games begin” into his ear!